Today is October the 1st. I have signed on to join over a thousand writers, known as 31 Dayers, to write every day in October. 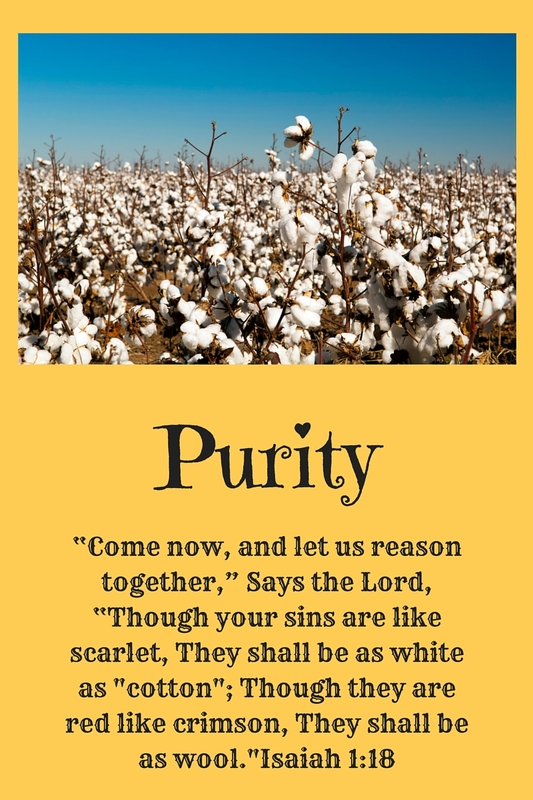 My topic is purity… with a focus on John the Baptist, who happens to be one of my favorite people in the Bible. He was bold, brave, and absolutely sure of His purpose on this earth: Prepare the way of the Lord! If he was concerned with what anyone thought of him apart from God, his life gives no indication. He was sold out, all in, and his actions testify to the fact that there was a white surrender flag firmly planted on the soil of his ego. Each believer receives that same call of wild John the Baptist on this opposite side of His coming as we await His return. Now, collectively, we, who are blood bought, are known as the Bride of Christ- a bunch of wretched, con-artist sinners, washed clean and invited to be wild in the John the Baptist sort of way, which is the way we were intended to live… trusting and loving the One. We are clothed in the rich robes of grace and truth becoming unified as the Bride. I can think of no other word more appropriately fitting for this Bride that awaits seeing her Bridegroom face to face than… PURITY. Purely, following Him, not seeing Him yet believing that “the pure in heart shall see God”…joined forever with her Beloved. Join me? I would count it an honor. My fears and failures stir gently nudging me not to write, but I’m choosing John the Baptist boldness and fixing my eyes on Jesus, writing because He first loved me.